Product Information-"This BioGroom Groom n Fresh Conditioning shampoo leaves an elegant fragrance that lasts between groomings. Rich-lathering shampoo leaves coats fresh and silky smooth. Shampoo is safe for dogs cats puppies and kittens over 12 weeks old. Dilutes 4:1. Groom n Fresh Conditioning Shampoo is available in 12-ounce size. Luxurious fragrance made from the finest perfume oils. Leaves coats with an elegant long-lasting scent. 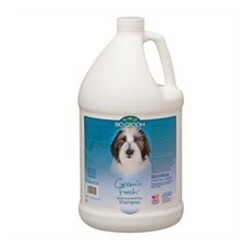 Creates a rich lather that thoroughly cleans pets. Leaves skin fresh and coat silky. Safe for dogs cats puppies and kittens over 12 weeks old. Directions for use - Shake well before using. Wet pet s coat completely with warm water. Dispense a generous amount of shampoo into palm of hand and thoroughly massage into pet s coat beginning at head and working back towards the tail. Avoid getting into eyes. Rinse completely. Repeat as necessary.